Learn more about China with this online interactive resource from Reuters http://china.fathom.info. A sea change is on horizon in the way Chinese people learn English. And along with it, a debate is growing among teachers and parents as to how foreign languages are to be taught and learned in this country. In October, the Beijing municipal education authorities decided to lessen both the importance and proportion of foreign languages in the college entrance examination, or gaokao, of the municipality, starting 2016. Similar moves were reportedly being planned in Shanghai and a number of coastal provinces. Since then, the policies on foreign language teaching in schools have been revised by the education authorities of one province after another. Children are no longer encouraged to start learning English at a very young age, say in their first and second years in primary school, or in kindergartens. In the latest move, the Ministry of Education proposed that foreign language tests should no longer be part of the once-a-year college entrance examination. Instead, they should be offered as a social service, and be held multiple times in a year. All these moves, both plans and suggestions – and presumably more will come – should not be seen as only a nationalistic whim. Nor should they be independent from the overall endeavor to reform the system and the ways in which many subjects, not just foreign languages, are being taught to Chinese students. A change in the examination system does not alter the picture of the job market either. The need for young workers with foreign language skills – with English the most in demand – will continue to increase amid the economy’s continued opening-up and the unprecedented expansion of Chinese business activities around the world. As companies are doing increasing business overseas, they will have to send more workers to foreign countries, and serve international clients in their local languages. It is certainly not because China is suffering from an oversupply of workers who can speak English or an overcapacity of foreign language teaching schools that foreign languages are being removed from the college entrance examination Rather, it is because the various foreign language exams in schools are so out of touch with the realities of the job market. Indeed, one of the most salient inadequacies in China’s present education system is that many schools, despite all the tedious and highly demanding exams, still cannot prepare students with the foreign language skill levels needed by employers. 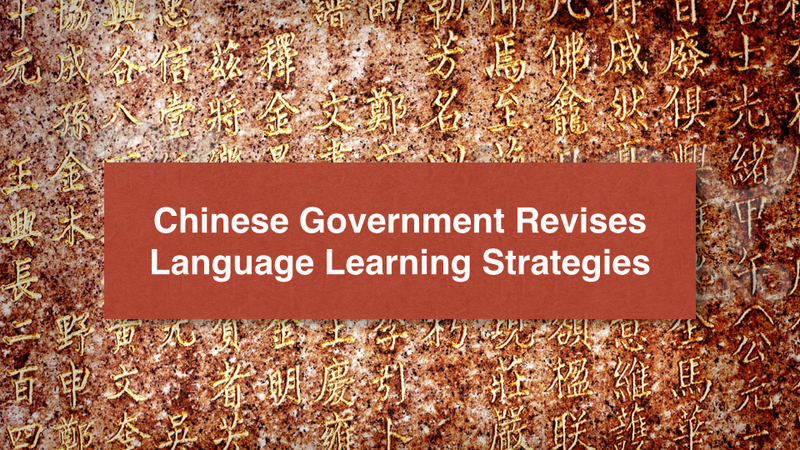 People are still debating what consequences the ongoing rearrangements in foreign language tests would have on society and its future development. It may still take a relatively long period to find it out, because the rearrangements will not take effect until more than two years later. In all likelihood, as one can infer from the job market trend, as exam-oriented, hence memorization-focused, foreign language teaching becomes less important in regular schools, more use-oriented teaching will gain importance in various adult and extracurricular education programs. Foreign language-proficient individuals, especially English-speaking young professionals, can earn markedly more than their peers. That being the case, when students spend less time learning English in schools, their parents – so long as they don’t intend to send their children to major in Chinese classical literature in college – may pay more for them to go to weekend English classes. The usefulness of the courses to prepare students for the language proficiency tests required by overseas college and graduate programs will become even more evident. This is because, along with foreign language skills, overseas exposure, which means social skills in a foreign environment, can also help young people get more highly paid jobs. Such a scenario may produce a worrisome side effect, however. As the rural students are relieved from the present memorization-focused, not very useful English lessons and exams, where will they find the alternative learning programs? If they lack the same choices as students in the large cities, who would be able to sharpen their foreign language advantage in a variety of ways, would it be fair? About the Author. You Jianmin is vice dean of College of Foreign Languages, Hebei Normal University of Science and Technology.